One of the biggest challenges with learning to ride ’cross in the mud is … finding ways to ride in the mud. 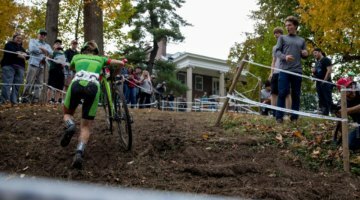 Although this season is been incredibly muddy in several parts of the country, the typical cyclocross season seems to only have a few mudders in any given scene. And those muddy race days can require significant post-race mitigation and working with locals to make sure surfaces return to their usual grassy state. Given these challenges, heading out to the local part and ripping around when things get messy is just not an option. It is poor form and liable to fracture relationships between local communities and cyclists. 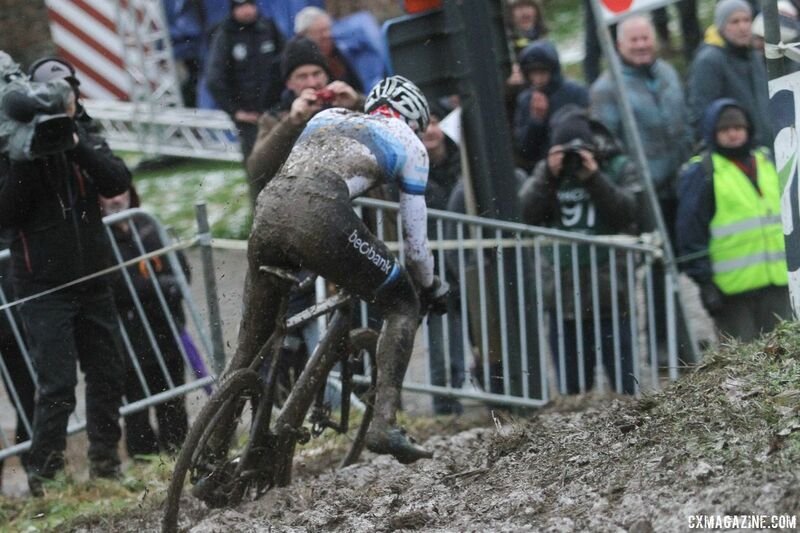 Fortunately, every year about this time, Mother Nature provides cyclocrossers in many northern locales with a more friendly way to get some practice slipping and sliding while keeping the bike upright. 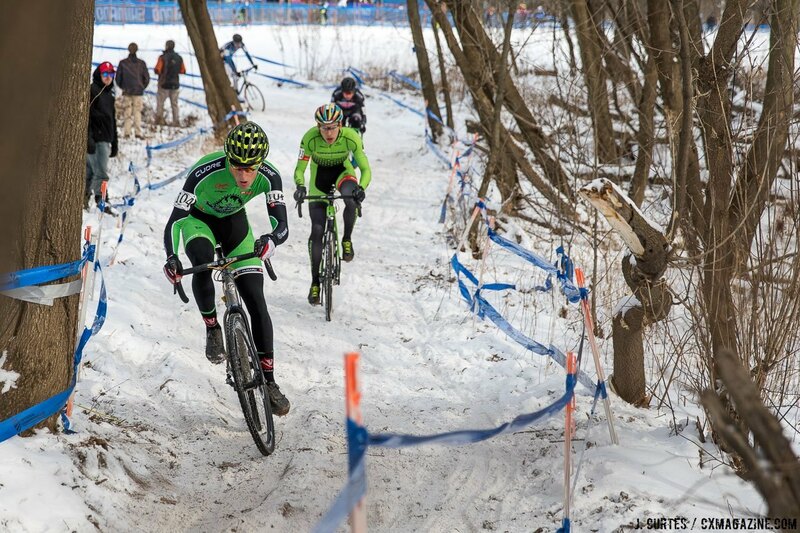 Winter snow in cyclocross hotbeds such as Chicago, the Northeast and Upper Midwest provides a great opportunity to get out and practice riding in slick conditions. 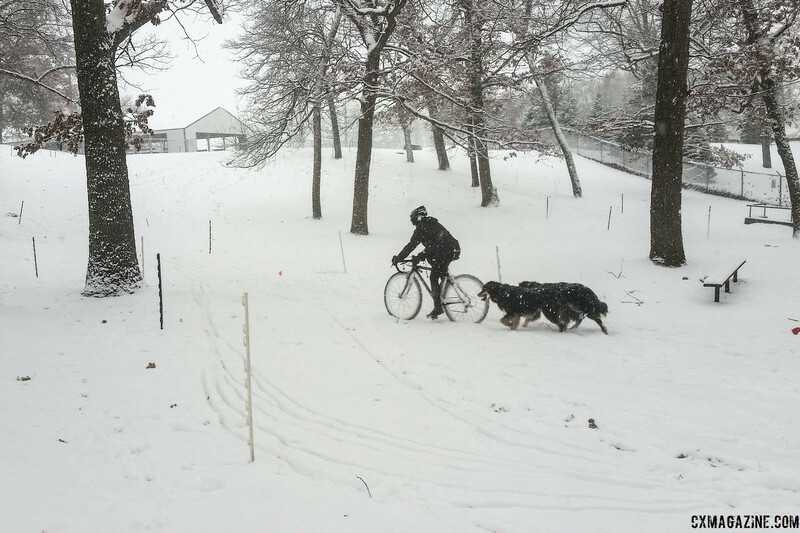 For those readers in warmer locations, perhaps I can recommend a winter wonderland vacation in the Upper Midwest with fat biking, cross-country skiing, poutine, cheese and some old-timey polka music? 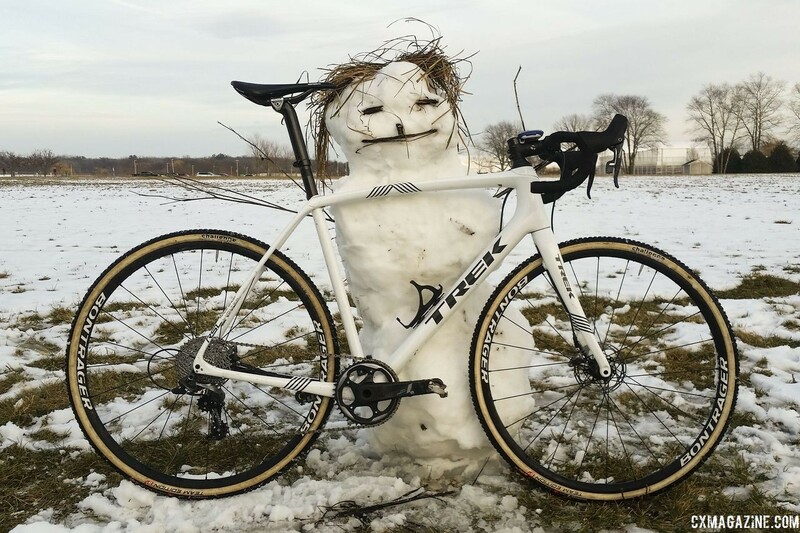 Since to me, everything is training for cyclocross season, here are some ways to get out and enjoy the winter wonderland while also maybe picking up a skill or two to help with your bike handling next cyclocross season. Click the next button to read each of the five sections. When snow arrives for the first time, I think it is the perfect time to take the cyclocross bike out and rip around a little. Most of us still have at least a little bit of ’cross stoke in the tank, our bikes are dialed in and temperatures tend to be a bit warmer. As a Masters racer, I think there is also something to be said about the mental health benefits of getting excited about the snow and feeling like a kid again, if only for an hour or two. Snowy conditions provide a great opportunity to get practice getting a little rad. The snow will cause your tires to slide, and if you do fall, the fluffy snow provides a more comfortable surface to land on. Turning and cornering in wet and slick conditions also takes some practice. Riders can get away with more leaning of the bike when conditions are dry, but when mud and snow come, it helps to turn more by leaning your body than the bike. Snowy conditions provide a great chance to work on turning quickly with your body while staying upright. It also provides a chance to find out how much traction your tires will give you and how much you can push your speed while still staying connected to the ground. As to where to ride, that can always be a dicey situation. After a good snow that is snow and not slush, the ground is usually cold enough to handle bikes riding over it. Local parks where bikes are allowed are usually a good choice. Although I am all about riding ’cross bikes on mountain bike trails, definitely consult your local trail network group about whether trails are okay to ride on or not. If they are groomed for fat biking, then definitely don’t be “that guy.” Same goes for groomed cross-country skiing trails. If you are lucky enough, snow will come to Nationals like it did in Hartford in 2017 and you will have a leg up on others who do not yet have their snow legs. Great piece Zach. I have using my fat bike as you suggest, but will have to give my CX bike a go in this heavy wet stuff we now have. It has to be as tough as mud?